Saddle up, friends! Saturday, October 13 is National Motorcycle Ride Day! This day is designated to get motorcyclists across the United States – and the world – out and on their motorcycles for a united day of riding before winter weather sets in. The Flint Hills National Scenic Byway is a perfect day trip for National Motorcycle Ride Day. Spanning 47.2 miles on K-177 between Council Grove and Cassoday in east central Kansas, the Byway showcases the Flint Hills and the tallgrass prairie – one of the last such remaining landscapes in America. Much of what you’ll see along the Byway looks virtually the same as it did thousands of years ago when the Kaw, Osage and other native tribes lived in the area. Early settlers navigated the famous Santa Fe Trail through the Flint Hills, some of whom stayed to establish the towns of Council Grove, Cottonwood Falls, Strong City, and Cassoday. In addition to the stunning, panoramic views, along the Byway you’ll find historic sites and small towns filled with charming shops, restaurants, artwork and antiques. Council Grove sits at the north end of the Byway. Here you’ll find the Kaw Nation Heritage Park and Kaw Mission State Historic Site and Museum as well as the Council Oak, Santa Fe Trail, Old Cowboy Jail, Post Office Oak and Museum, KATY Depot, Hays House restaurant, and the Last Chance Store. The Tallgrass Prairie National Preserve outside Strong City is a great place to stretch your legs as you explore the historic ranch and Fox Creek school house. In Strong City you can grab a bite at Ad Astra. A mile south, Cottonwood Falls is the site of the picturesque Chase County Courthouse, the oldest continuously operating courthouse west of the Mississippi, the Symphony in the Flint Hills gallery and shop, the Roniger Native American Museum, and several antique shops. Heading south out of Cottonwood Falls, the Flint Hills National Scenic Byway winds around the top of the hills for panoramic views of ranchland, then dips down to follow magnificent stone walls around historic farmsteads still in operation. Cassoday is the southern end of the Byway. Here you can visit the Cassoday Museum and stop for lunch at Our Cassoday Country Store. 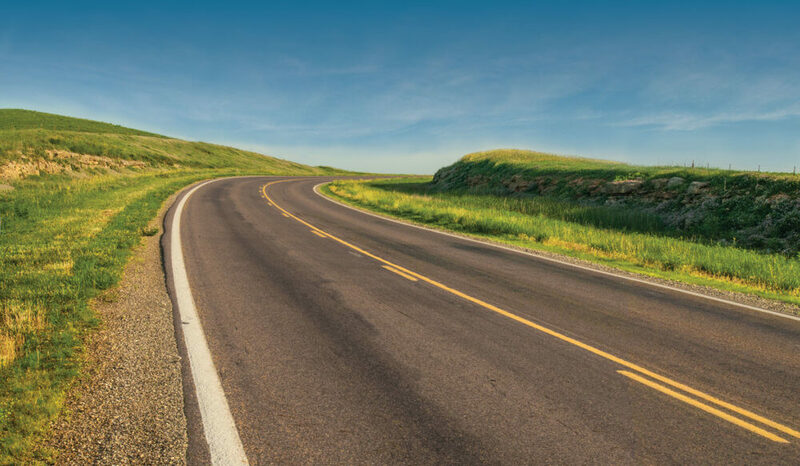 The Flint Hills National Scenic Byway is a two-lane, paved road easily reached from the Kansas Turnpike, I-35, I-70, U.S. 50 and U.S. 56. Tourist amenities are available in the towns along the route including historic restaurants, hotels, antiques, artisans, and other facilities. A scenic overlook site is located just south of Cottonwood Falls with a raised bed of native wildflowers, interpretive signs and a panoramic view of the surrounding area. Make this year’s National Motorcycle Ride Day a trip along the Flint Hills National Scenic Byway and enjoy scenery you won’t find anywhere else. While you are out on your ride, be sure to take pictures and post on social media using the hashtags #NationalMotorcycleRideDay and #FlintHillsScenicByway, and tag @nationalmotorcyclerideday.